Honestly, I should know better. Having no sooner recovered from the 24 Hour Book stress, I'm sitting here scratching my head and coming up with a Genre Mash Up pitch for the New South Wales Writers Centre. What is a Genre Mash Up? Well may you ask. I think it's an excuse to get together and have a giggle at some of the NSW Writers Centre's tutors as they stray far - FAR - from their comfort zone. It's purported to be all about the launch of the second half of the Writing Program for NSW Writers Centre, but I see right through that. Here's what's going to happen: Authors will pitch a book idea totally out of their genre - you might hear a sci-fi writer pitching an office romance novel, a non-fiction author write a fraudulent fantasy or a crime author pen a cookbook for kids. The victims participants include myself, James Roy - author of the young adult novels Full Moon Racing, Anonymity Jones, Town and City; Bem le Hunte - bestselling author of There, Where The Pepper Goes and The Seduction of Silence and Pat Grant - author of the critically acclaimed graphic novel Blue. Audience members are also going to be invited to pitch, baby, pitch. We'll pull two genres out of a hat, and watch them mash. So if you think this sounds like fun come along to Shearers in Leichhardt on Wednesday 20th June at 7pm. FREE ENTRY. Refreshments and nibblies provided. Bookings are essential. 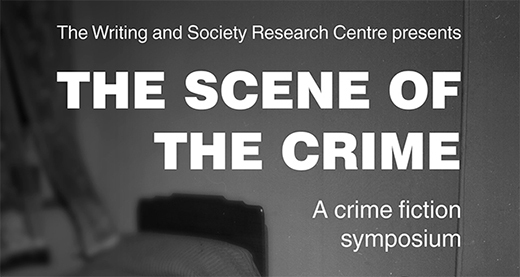 Please email events@nswwc.org.au to book your place. How to write a book in 24 hours (aka How to go mad in 24 hours or less). Anyone who has followed my conversations on twitter with Georgia Blain, Charlotte Wood, Margo Lanagan and Sophie Cunningham about the relative difficulty of writing novels and short stories, will know that I find the short story form particularly taxing. At around 2pm yesterday, with a word count still hovering somewhere under the 1,000 word mark and refusing to budge I was wondering why the hell I had ever thought I could write a short story in a day, and what special kind of madness had taken hold of me when I said yes to the 24 Hour Book. 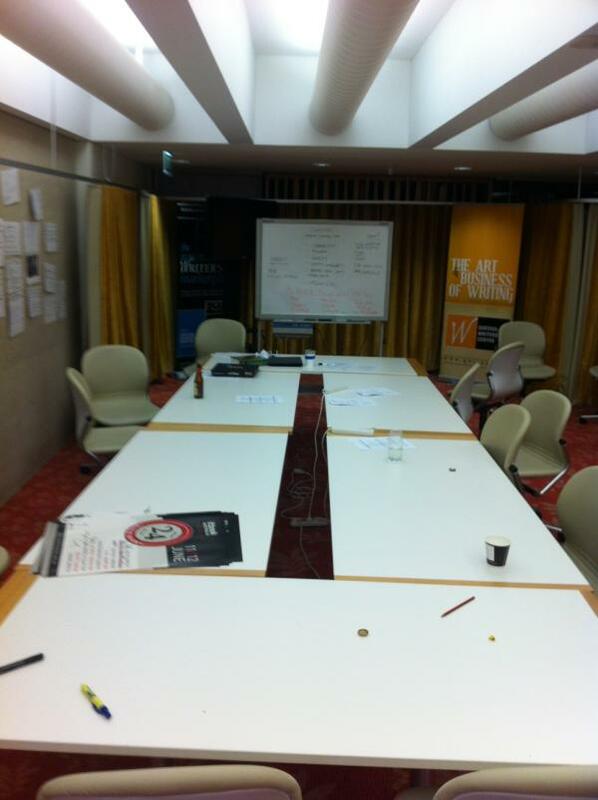 There I was, sitting in a room at the Queensland Writers Centre with eight other writers all madly writing, not just a stand alone short story, but a series of short stories all linked in various ways by location, characters, themes and objects. Stressful? Oh yes. In keeping with the spirit of the event we writers arrived with some vague ideas about characters but pretty much nothing else. As an exercise in discovering your comfort level, discovering how you write and how you don’t – it was fascinating. My writing approach is a mix of planning, plotting, and discovery. I usually start with an idea of a character, a character who grows into a person, and once I get to know that person I know how they’ll react, what they'll say, what they’ll do and won’t do. I’ll usually write a bit, think a bit. Plan what might happen next. Write a bit. Think a bit. Plan a bit. Repeat as needed. The experience of the 24 Hour Book was different. It was plunging in. Writing, finding out who this character was as I wrote him, finding out what was going to happen next as it happened. It was real seat of the pants writing. And as the word count ticked oh so slowly upwards, I wondered where the story was, would I find it, how would I fill my allotted chapter within the allotted time, and what would I fill it with. It was a great example of writing from concept not character. I was quite literally writing the beginning of scenes with no idea what was going to come out of the characters’ interactions. My vague idea of the “story” was shaken inside and upside down when the characters in the scene gradually developed a certain sort of energy, a creepy energy that took my idea of what dark secret lurked in their past and speared it into much darker and more uncomfortable territory. In the space of about fifteen minutes I had suddenly fleshed out the back story for my character and knew how the story would end. That just left about seven hours of solid writing and plot conferencing and pizza and wine and a shot of vodka, to get to the end. And, as always, landing the plane is the trickiest bit. 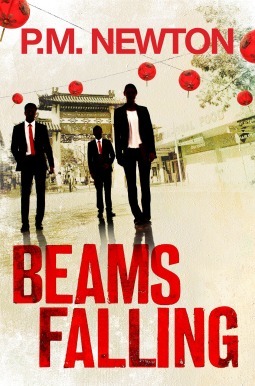 With only time for one quick read through, to add a few links to other stories with mentions of common characters and events, and it was time to turn it over to the Keith Stevenson and his trusty band of young editors. Things I’ve learnt about the experience? Writing as a group under pressure can lead to strange results. 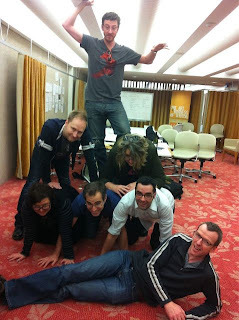 Steven Amsterdam wanted to make a writers' pyramid, Geoff Lemon on top, Rjurik Davidson & myself in the middle, Krissy Kneen, Steve, Simon Groth on the bottom, Keith Stevenson relaxing. When pushed, the words can flow and in short sharp burst like the Jane Espenson Writing Sprints a deadline can be an excellent tool for getting them down. But the most important thing I didn't so much learn, as have reconfirmed, is that nothing – and I’ll repeat – NOTHING beats time. Not having enough of it, to think, to plan, to write and rewrite, and more importantly, to let the words sit, and then come back to them with fresh eyes, that really makes you appreciate just how important time is in writing. Writers will often tell you, first drafts are for making a mess. No one will ever see them, so relax and go for it. It’s in the editing and the redrafting and the rewriting that you actually “find” your characters, your themes and motifs. Generally you won’t ever get to read writing this “raw” from a bunch of authors. Don’t miss out on the opportunity – head on over to the 24 hour book and see for yourself. It was a mad idea, but we did it. And I think we made something pretty amazing, with a surge of energy that leaps off the page. 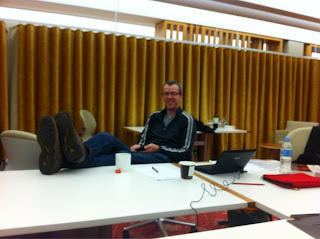 On 11 June 2012, if:book Australia will challenge a team of writers and editors to collaborate, write, and publish a book in a single 24-hour period. You know the expression LOL, and how very rarely you actually do it? Laugh Out Loud. Well, I read Simon's email and I LOLed. Oh how I LOLed. I barked with laughter. I hooted. If I'd been drinking coffee I'd have done a shoot out through the nose over the keyboard spray. I answered yes, instantly. It sounded so insane that I was still chuckling as I shot back my reply. Now, I visit the 24-Hour Book page and watching the countdown clock ticking away, the moment of truth growing closer and closer, and I'm thinking ...... WHAT WAS I THINKING? But it will also be .... kind of frightening. I'm a slow writer. (Ask my publishers.) And those public writing exercises you do in classes ..... always felt like I wrote crap in them. So this is all rather confronting. And did I mention - terrifying. But, I won't be alone. I'll be sharing the fun and terror with Nick Earls, Steven Amsterdam, Krissy Kneen, Christopher Currie, Rjurik Davidson, Angela Slatter, Geoff Lemon, and Simon Groth. And while we eventually sleep Keith Stevenson will be leading his band of hero editors Jack Venning, Sarah Kanake, Laura Elvery, Chris Przewloka, Andrea Baldwin, Imogen Smith, Matt Shepard, Kelsey Bricknell, and Sasha Mackay through the night to make the morning publication deadline. 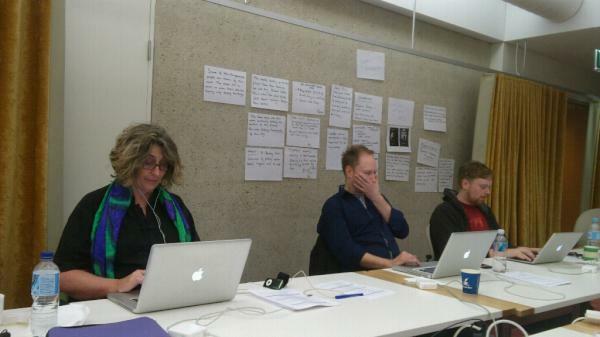 I've decided that I'm going to pretend I'm in a TV writers writers' room. I've always thought that being in the writers' room, planning a season of something like Buffy, or BSG, or The Wire, or The Killing, would just be amazing. Bouncing ideas, seeing how they build, how the creativity sparks and snaps and sizzles to produce something bigger than any one mind ... and we've been promised pizza, and alcohol to get us to the finish line .... so, what could go wrong? Follow us live on Monday 11 June, 2012.